For the first time ever, one person has notched four Eagle River World's Championship titles! Noticing a lack of my semi-regular "Craig's-List-of-the-Week" postings, Brent Rasmussen sent me this doozie. 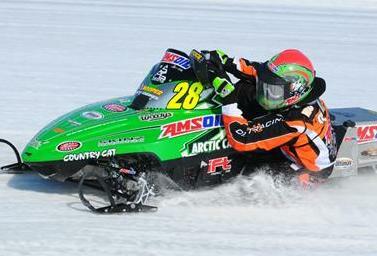 Click to read about the most amazing Arctic Cat Lynx. Fast. And sporting a sweet muffler. Needs some minor things before it can race. I spent another day with Brian Nelson working on the three 1979 Arctic Cat Cross-Country el tigres, and doing a bit of riding. Click to see more pix. 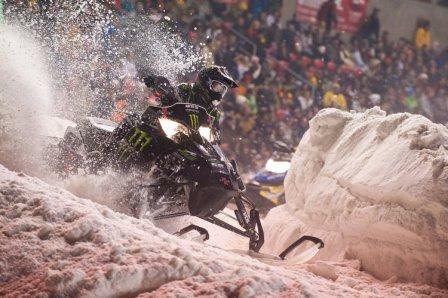 For the third ISOC National this season, Tucker Hibbert claimed both Pro finals, this time in Sandy, Utah. Click to read the press release from his team. These stunning images from the Grafton, ND, USCC race last weekend, taken by excellent photographer Aaron Kennedy, illustrate the rugged beauty, drama and adventure of cross-country competition. They perfectly capture why I love cross-country. Click to see a few. The Christian Bros. 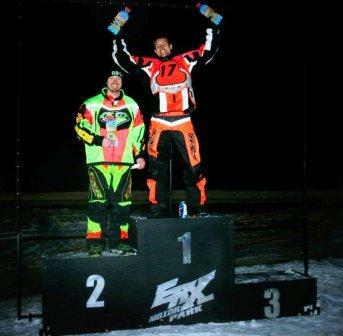 Racing team had an excellent weekend in Grafton, ND, where they smoked a couple Pro and Semi Pro classes. Click to read their press release from the weekend. 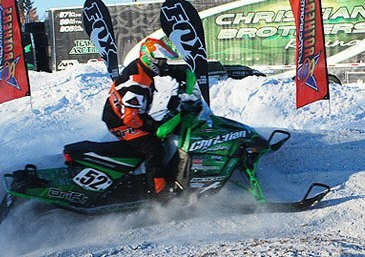 Tom Rowland from Thomas Sno Sports is hosting his 2nd Annual Arctic Cat Snowmobile Demo Ride at his dealership in Ogilvie, Minn., on Wed. Jan. 12. 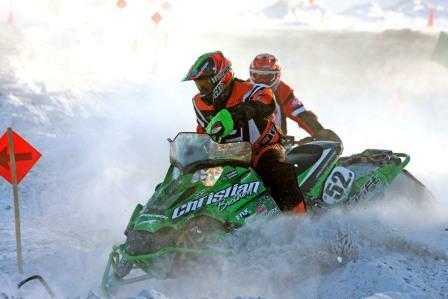 A winter storm blew into Grafton, ND, prior to the start of the United States Cross-Country (USCC) season opener, and... Arctic Cat racers won 12 of 18 classes with 11 podium sweeps. CLICK HERE then answer: How drunk was this guy, and what is his New Year's resolution? 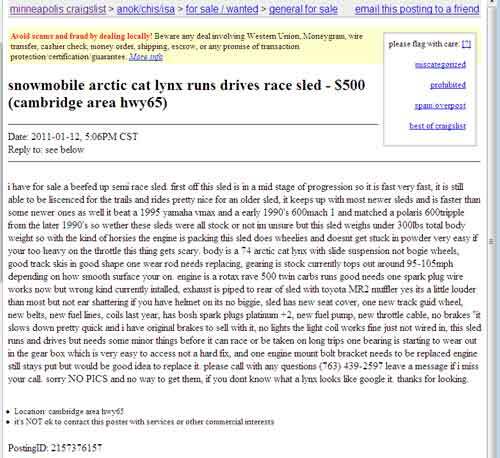 Dude has some strong reasons why he won't join a snowmobile club. Watch here, or click to see a larger format. Project Nelson/CC Cats: "Everything is Better when Hubert is Around"
This past weekend, Brian Nelson (left) was joined by his longtime friend and legendary mechanic/engineer, Hubert Fixsen (right). The cumulative knowledge of these two icons is staggering. Click to see pix and video. 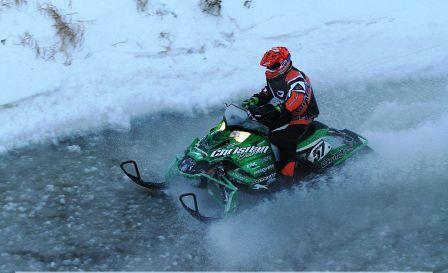 Donn Eide is a 40-plus-year veteran of Arctic Cat, and is currently the Engine Design Manager. Though he won't exactly say it, he's the head-honcho of Arctic Cat's snowmobile engine department. He was kind enough to answer a bunch of questions. Click to read them. 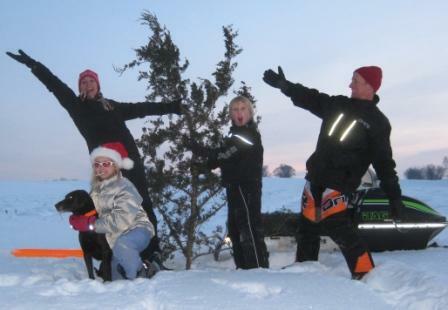 Merry Christmas to everyone here, from me and my family. Thanks for being a part of our "bigger" family. Here's a super-cool story written by racer/ArcticInsider/Freestyler/Ditchbanger/Tailstander Shane Gerwing, about his experience prepping and racing a ZR440 at the ERX Grassroots race this past week. 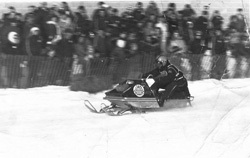 Much progress has been made in Brian Nelson's three-sled vintage I-500 project. Click to see a few pix and a short video. Location: North of Brooten, Minn. Conditions: Lots of snow, good chop/rough for testing the sleds and our backs. CLICK HERE to read a cool story posted on Vintagesleds.com about the ties that bind us together, and to our brand. Here are some random photos from my archives. In no particular order, of no particular signifigance, but posted for your (and my) viewing pleasure. 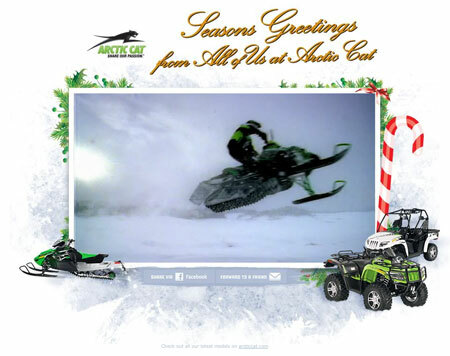 Arctic Cat has created a video greeting for the Holiday season. Fun. Cheap. Entertaining. New and vintage. Lots of track time. Family atmosphere. Just some of the words to describe the ERX Grassroots Snocross Series, which begins this Thursday in Elk River, Minn.